Want to make your own animation videos or explainer videos? Try out MySimpleShow online animation maker to make professional explainer video in minutes. Making Videos has always been a quite big deal. You must have an expertise in making videos if you want to create something really unique. However, with the ongoing advancement in the internet field and developing technology nothing is impossible. You can now easily make illustrative videos even if you are a newbie to the video editing field with the help of video editing software. Many animation video maker tools and explainer video services have been developed that helps the users to create amazing animation videos that can express the plethora of emotions. MySimpleShow is one such animation software that helps you in creating awesome videos. Here is a brief review about MySimpleShow. MySimpleShow is an incredible online animation maker tool that enables you to create impressive and good explainer videos for the spectators. The development team of MySimpleShow designed this software by utilizing their 8 years of experience in explainer video creation and made a handy video making software that enables you to create amazing videos. You can use various storyline templates in your video to write your own script and display it by making use of this video maker. The explainer engine will also suggest you various illustrations as per the storyline so that you can visualize the complete story. You are all set to go with your very own video in few simple clicks. 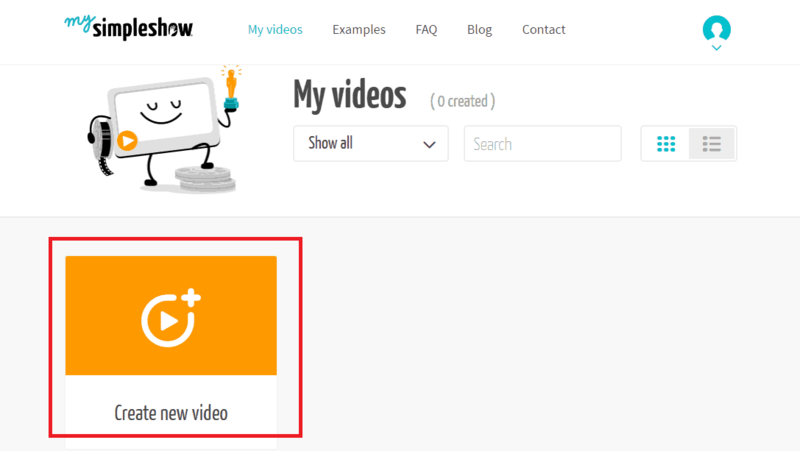 This review on MySimpleShow further provides guidelines on how to create explainer videos using simple process and its incredible features. Creating a video online has never been this simple before. Just a few easy steps and you are ready to go with your explainer videos using this tool. Here are the steps that will help you create amazing professional videos. Draft: You will have to answer a few simple questions so as to find out the best storyline that suits the topic of the video you want to create using this tool. Write: You can also make use of the practical advice and practice examples to get perfection for creating your own videos. 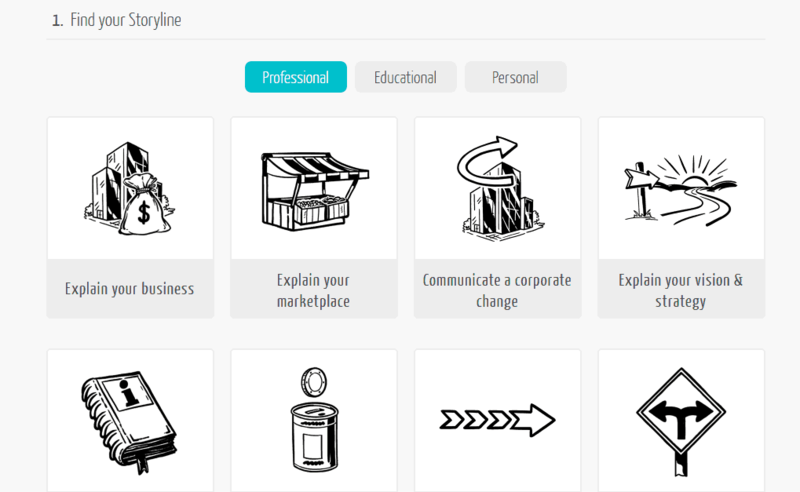 Visualize: This tool comprises of an explainer engine that automatically generates the Storyboard for you so as to make it easy for you to tune well with the story. Finalize: You will have to choose the speed for your video and the voiceover. After this, you are all set to publish the video on YouTube. Why Should You Go for MySimpleShow Video Maker? There are numerous reasons for using this video making tool. Here we have mentioned some of the reasons that why you should use this great video making software. Based on your answers you give to the questions asked, the best storyline is suggested for you. You can become a pro storyteller using this easy and handy video making tool. The story you wish to make is illustrated by the explainer engine along with the use of images. The users can make use of plenty of illustrations offered by this tool and can also upload their images. 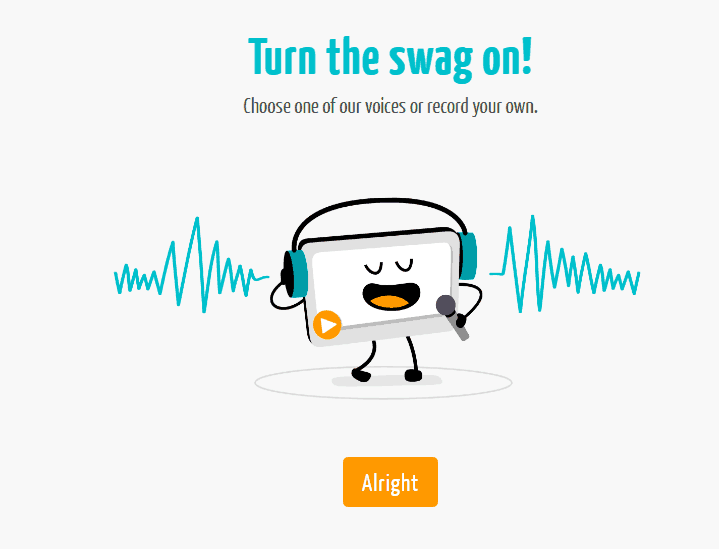 The users can even record their voices and can make it a voiceover for their video. It will be playing while you video is running. You can even share your video easily and quickly with the audience. Follow these simple steps in order to start with the creation of animated explainer videos using MySimpleShow video maker software. Step (1): First of all, click on “Create New Video”. Step (2): You will then see two different options for creating the video. You can either make use of creating your own script option or upload a PowerPoint presentation. Here we have selected the “Write you own Script” option so as to write our own script. Step (3): Now, click on the “Let’s Start“ option. Step (4): A screen will be displayed on your screen from where can choose the storyline of your choice. Step (5): To proceed further, click on “Type Away” option. 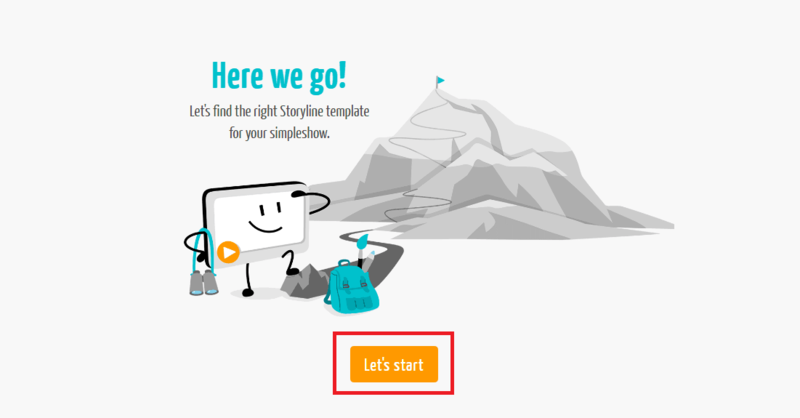 Step (6): Now enter the desired script to make the best storyline for your audience. You should carefully fill in the details. Step (7): Click on “Choose Visuals” below, once you are done with the above step. Step (8): Click on “Sounds Great” option after this. Step (9): You can now make the selection from the images that are suggested to you by the explainer engine or you can also upload your own images. Step (10): An option to select the audio will also appear. In order to choose the voiceover, click on the “Choose Audio” option. Step (11): You can either make use of the default voices in the toll or can add your own voices. The voice selection is completely up to you. Once you are done with the selection, click the “Alright” option. Step (12): Once you have accomplished all the steps, you can play the video in order to check whether everything is ok or not. If you are happy with the video, you can click on the “Finalize Video” option. Step (13): A mail will be sent to the registered email id once the video is completed. Wait for a while and after that, your video is complete and ready to share, edit or delete if you want. So, these are some of the easy steps that you need to follow while using MySimpleShow video maker for creating explainer video with great perfection. The tool features numerous customization options that allow you to create quality videos to keep up your expectations. An FAQ section is available in order to assist the user’s queries. However, you can still seek support via emails. The support end of the software is willing to resolve you queries within 24 hours. The tool is quite handy and easy to use and you won’t face much trouble while using it. Video making was considered to be a tough job in the past, but as new tools are emerging in the market it has become quite easy to create amazing videos within no time. 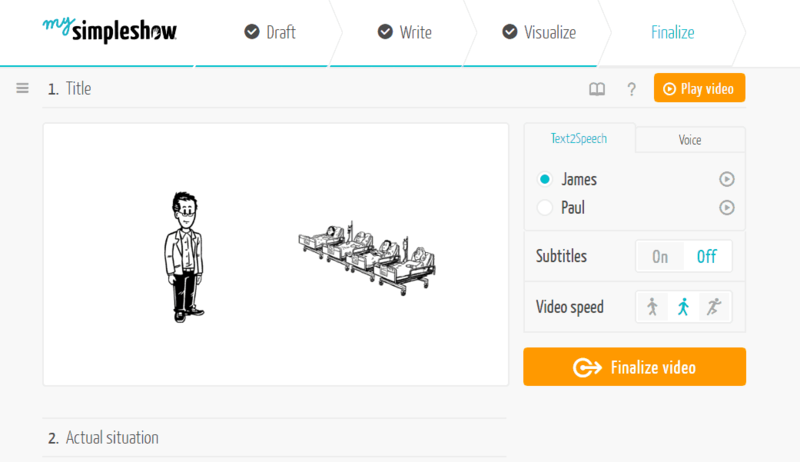 MySimpleShow is a great example of such animated explainer video making tools. You can make impressive videos comprising of storyline and voiceovers to attract a huge audience. According to us, MySimpleShow is an incredible animation maker tool that enables the user to create eye-catchy videos for the spectators. A huge number of customization options are available that makes the video making an easy and interesting thing. In addition, you can even make use of the impressive storylines and various images in your videos to make it even more attractive. Although there are numerous video making applications available in the market, but the intuitive interface of MySimpleShow makes it must try video making tool for the users. I am going to sign up and try this software to create my very first video on mysimpleshow tool. Thanks for explaining everything with details, it really helped me understand the functionalities of this software.